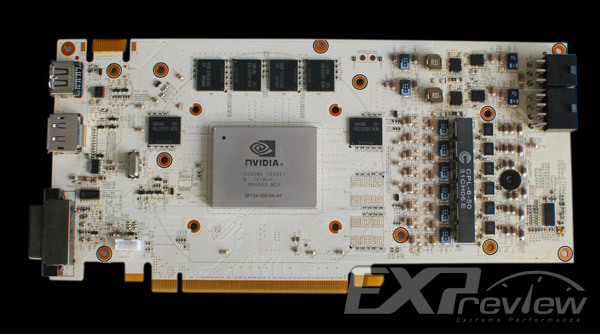 Galaxy Readies GTX 460 GPU with White PCB and High-Grade Components. 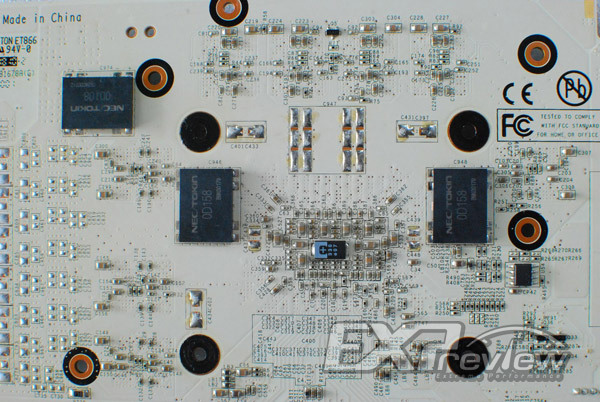 Galaxy has started designing a new Non-Reference Geforce GTX 460 Graphics card which features a White colored PCB and is fitted with High-Grade components which makes use of high-grade digital PWM power supply. As the PCB is still is design, It can be possible that the final color of the LCD may differ. The card is powered bt two six pin PCI-e connectors. The PCB features a 6+2 phase PWM circuit controlled by a Volterra VT1185M, with VT1157SF PWM ICs, high-C capacitors, as well as NEC-made Prodalizers to condition power. With an Conversion efficiency of 85%, The PWM can supply upto 240A. 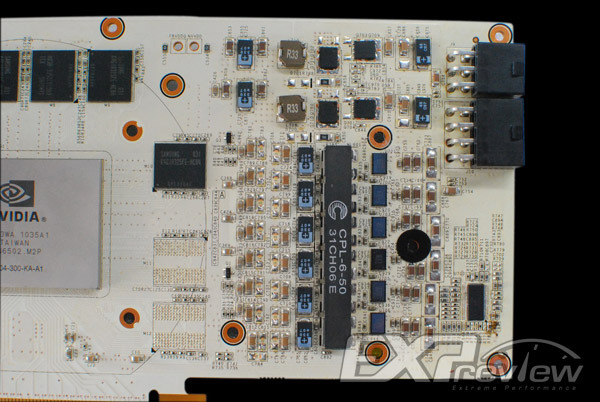 The PCB pictured below shows that the card hold six memory chips which means its a 768mb variant but a 1Gb variant can also be in works as there’s room for 8 chips to be equipped on the card. Also the card seems to draw lesser power on idle mode as compared to the reference design. This card if comes with proper cooling for both the Core and VRM area will be one hell of a treat for overclockers. Pricing and Availability of the card is yet to be revealed.